The Series 3200 two stage regulators are designed and constructed for both high purity and general purpose applications. While compact in design these regulators provide outstanding performance, comparable to most larger diaphragm competitive models. 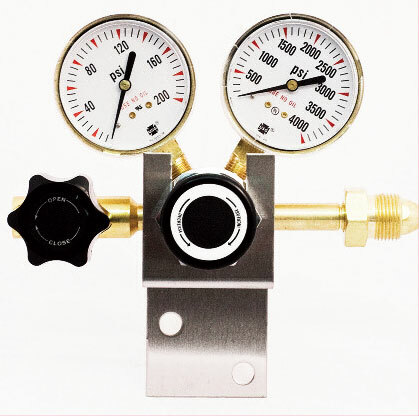 They are ideally suited for use with gases and gas mixtures having a full cylinder pressure of 1000 psig or more. The construction is rugged enough for the plant, yet versatile enough for the laboratory. High purity diffusion resistant, metal diaphragm construction on both stages. Encapsulated seats on both stages. Optional interstage safety relief valve available. 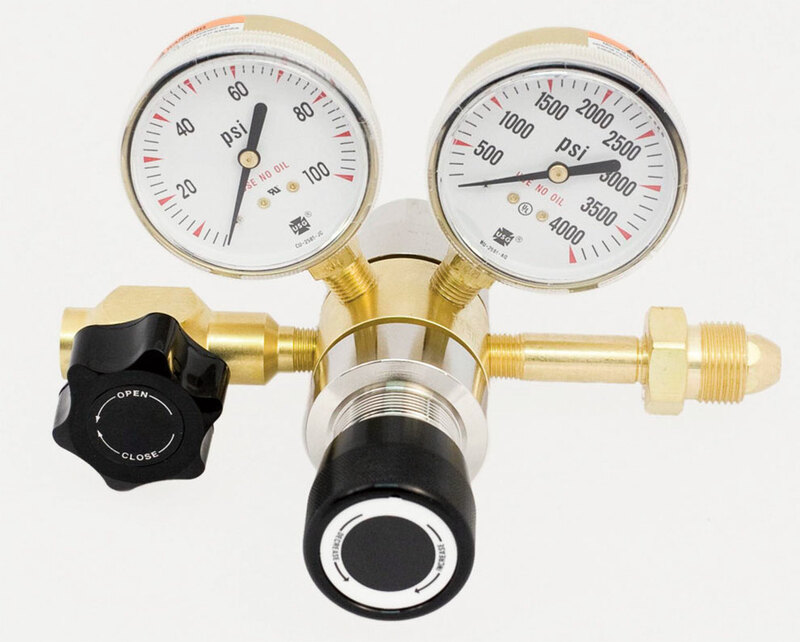 The 3200 Series regulators are ideal for critical pressure reduction applications, where the precise control of pressure or flow is required. They are an excellent choice for use with high purity carrier gases or gas mixtures used with gas chromatographs and other instrumentation. Once you experience the improved control of gas to your gas chromatograph or other system, you will want to upgrade all your other regulators. **Add “HF” to basic model number (i.e. 3201HF -25-CGA). ***For panel mounting bonnet add “PM” to base number (i.e., 3201PM-50-CGA).